Waking up comfortably on the top bunk, it suddenly hit me that today is my last full day in Uganda. Sob, sob, sob! I mused the last month and I just couldn’t believe all the things I did. 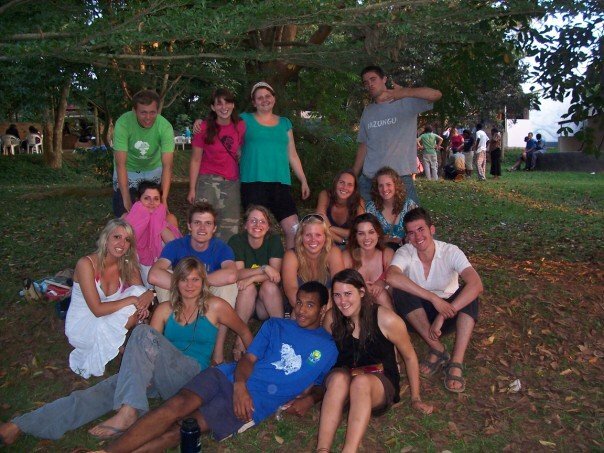 Whitewater rafting, refurbishing a school, Safari drives, and experiencing Ugandan life! I just couldn’t stop thinking about it and I was even dreaming about it on the bus drive down from Murchison Falls to Kampala where I am now. By the time we got to the Centre, we were soon greeted with the massive hub-bub of activity of the food and spice markets…and of course a knick knack market where they sold anything. I swear I saw a jar of fingernails…. anyway, we wanted to get deeper into the spice market, but we weren’t sure about it as 5 guys appeared out of nowhere and offered to take us in. It took ages for them to get the hint that we didn’t want them and we started marching off only for another guy to appear out of nowhere and offer to show us around the city. It may have been friendly but there was something in his eyes that I didn’t trust. I always go with the mantra that if it doesn’t feel right, don’t do it! Luckily, we managed to shake him off after splitting into 2 groups and he couldn’t decide who to go with. Meanwhile, we reached the craft market where we met up with the others. We went on a spending spree!!!! But soon, I realised I had no money and had to jog down the road to draw out some more. However, as I left the bank, one man approached me and begged me for some money. After repeated attempts of saying no, he started shouting that I robbed him! 2 security guards from the bank rushed over and demanded to know where I got my money. I really felt out of my element and protested even showing them the receipt. By then, the man started sliding away and I pointed at him. The cash teller rushed outside that he did indeed serve me and that the man was a con artist. He started running and one of the security guards chased after him while the other still held his vice like grip on me. I started shaking him off telling him to let go and that I was innocent and threatened to call the British embassy. He paled and soon let me go. It was quite an experience and I don’t know what could have happened. But I had to walk calmly back to the craft market rather than running away looking like I was indeed in the act. Oh my days. 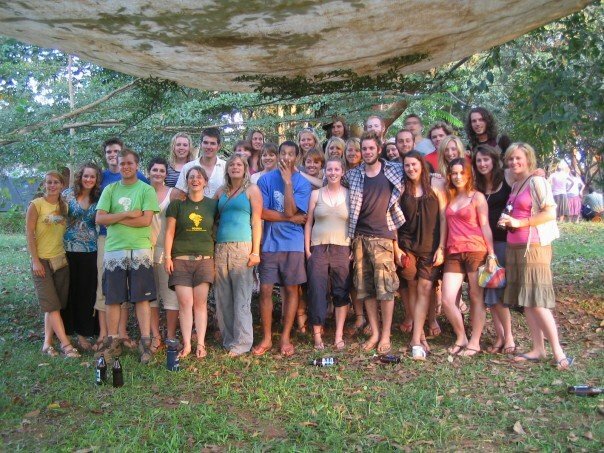 However, we soon got back to the hostel and it was time to say goodbye to some people as they were continuing their African adventure through Kenya and Tanzania. Indeed I was so jealous but commitments in the UK meant that I had to return. But before they left, we did a group shot. Here’s the group 1b that I worked with. So big up to the guys in my group starting above left – Steve, Kat, Jami, Phil, Ames, Caroline, Burtie, Jaime, Dan, Rachel, Helen J, Orla, Me, Helen K, Sam and Katie. I really enjoyed working and hanging out with them and it was a sad day for us to break up. After, we got all the groups together for one big shot. Truly an end of an era!